Eric Schmidt, ex CEO of Google speaking to Forbes named Facebook, Apple, Amazon and Google as the four horsemen in the tech leaders pack (he used the accounting firm Big 4 metaphor). I do not have the gall to challenge Schmidt (except that the world of tech is a funny one and while this true now and in the short term, the medium term could throw up surprises. And in world of high tech the only other thing more foolish in predicting the long term is actually believing it). So we go with Schmidt’s assessment and look at the four knights in their shining armor. Facebook is a platform company – its monolithic, multi-purpose, multi-tenanted social platform is its strength. It is hugely sticky, quickly scalable and does not have to bother about content because the users are filling that bit up in a frenzied pace. Apple has long ceased to be a technology or a software company. Many argue – and with merit – that Apple is a hardware company raking in big bucks from selling super elegant, easy to use, irrationally priced hardware. Peel that layer back and the effort at owning content is apparent. Apple has been at it for a while to create a good ecosystem that allows content creators connect with content consumers. Its Achilles heel however has been that it is as yet a distributor platform for the content – it does not quite own it (and neither have been very successful in binding mass content creators into economically sound contracts. The movie studios’ refusal to play ball with Jobs was one reason why Apple TV never quite took off). Turning to Amazon we find ecommerce being a dominant source of its current revenue yet a perceptible change towards content. It is signing book deals to beef up its ebook content (content that it owns and not merely distributes) and some of the 70% of enterprise value that Amazon has from ecommerce is around content that it has closer ownership of (like Kindle Direct Publishing platform). So where does that leave Google? In a bit of a fix, I would argue. Google’s key strength has been taking truckloads of content – not its own – indexing them and creating smart algorithms that bubble up the most relevant when you are looking for something. Searching someone else’s content, that is. There is a whiff of change though at Google in terms of understanding the power of content. Google Finance was an early example where the firm applied software skills on publicly available content or content provided by data vendors. Google Public Data Explorer is another example of the same approach – take reams of content (mostly abundant content from the public domain) and add value to it by applying a smart software layer. An adjacent approach has been to embed content in form of ecommerce via the Andriod Marketplace as embodied by the recently launched (and tepidly received) music service. But will Google ever try monetizing these in a manner different from how it relies on search for monetizing? 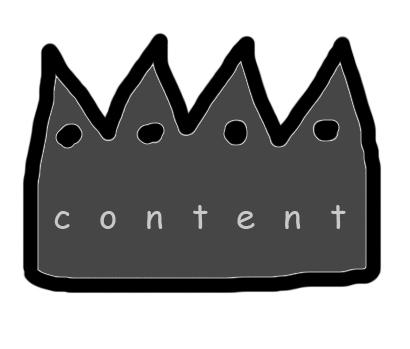 Content is made more valuable by others. Consumers will not pay for vanilla content. But they pay for value added content. Interesting idea.